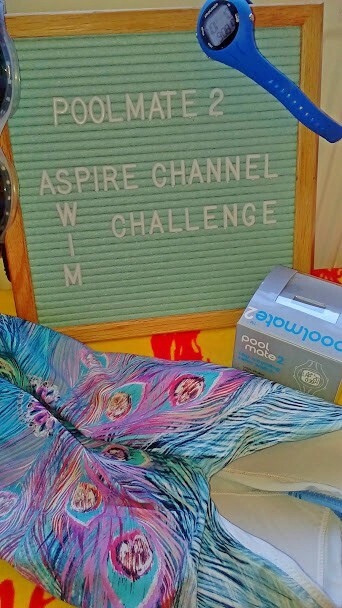 Swimming For My Mental Health | How The Poolmate2 Watch Is Helping To Free My Mind Whilst Swimming | My Aspire Channel Swim Challenge 2018. 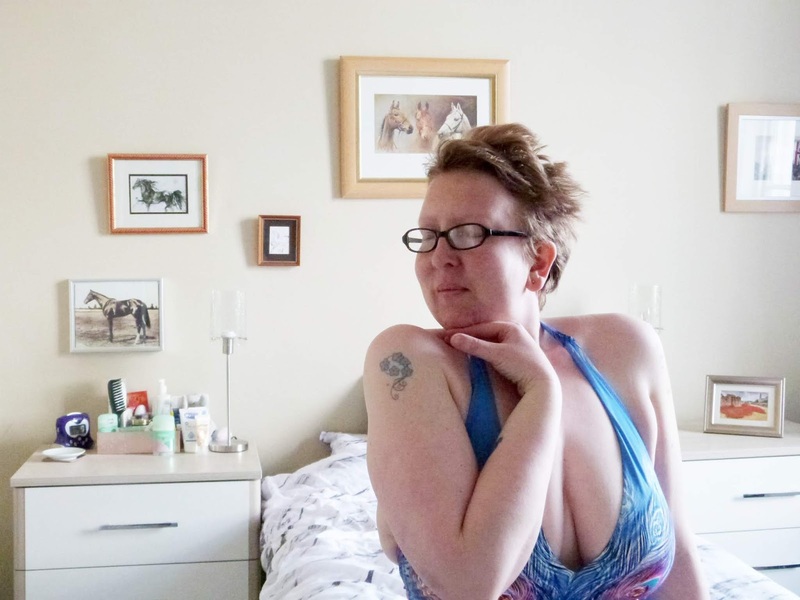 If you have been keeping up with me on the blog and over on Instagram then you may know I have been (and still continue to be) taking on the Aspire Channel Swim Challenge, to swim 22 miles in 12 weeks. I have swum 15 miles so far and have enjoyed every single moment of getting there. I have found swimming to be a release for me, I can just get in the pool and swim up and down, with nothing more to worry about than getting to the end and starting again. To have that release, to clear my mind of everything helps me a lot, especially if I've had a tough week at work and haven't been sleeping well. The pool has become a happy place for me, somewhere I go to whenever I'm feeling anxious or stressed. I know I will always feel a hundred times better when I've finished than when I went in. Keep reading to find out how Simply Swim UK have been helping me feel incredible in the pool. Taking on the Aspire Channel Swim Challenge was an easy thing for me to do, I was going swimming twice a week anyway so it felt only natural to be completing a challenge whilst doing so. Also the added incentive of raising money for Aspire only pushed me on to do more lengths. It really helped me get back in the pool and exercise, I had previously been running but had found it to be more hard work than I had expected and I didn't feel the same joy afterwards that I do with swimming. As hard as it was to admit that, I feel so much better for doing so, sometimes you just have to find the best exercise for you and not worry about what everyone else is doing and not feel guilty for giving up something which seems to 'the sport' to be partaking in. Having another piece of equipment to help me on my way with my challenge really just makes me incredibly happy. 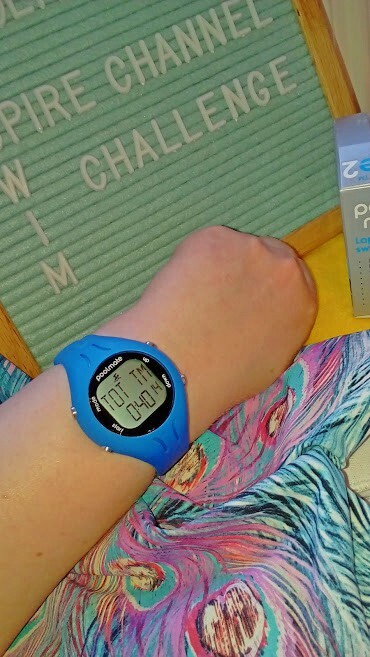 As I have to log my lengths to update my profile, the poolmate watch ensures that I am counting correctly and also records the time I am swimming for which is helpful in the mornings when I am already bleary eyed and not really with it! All I have to do before I push off is to press the start button - a little swimmer icon appears at the top of the watch and the screen changes from the date/time to counting my lengths and showing the time. I find the watch to be user friendly, easy to read whilst swimming, comfortable to wear and the perfect accessory to complete my swimming challenge. My Dad was so taken with it that he pinched it off me the moment it arrived in the post, set it all up for me and promptly took it to the pool the next morning to test it out! Needless to say Santa has already been informed that he may like one for himself this Christmas! They say that exercise is fabulous for those of us who suffer with mental health and I have to say that it is absolutely true - whatever state of mind I am in before I enter the water I know I will always feel 100 times better afterwards. Doesn't matter if it's a short 30 minute lunchtime session or a longer 42 minute morning swim, the actual physical act of swimming focuses my mind on one job and one job only, to get me to the end of the pool and back. I don't have to think about counting my lengths, worrying about the time or anything I can just get on with swimming my worries away. There was one time before I started my challenge where I went on an evening and to say I felt better afterwards would be a massive understatement. I honestly felt like I could take on the world after that session, didn't matter that it was raining and I had to wait for the bus my body and more importantly my mind was completely free and I felt incredible. I've had a similar feeling after a recent yoga session which is another exercise I have been trying to get into more often lately. I wouldn't say that I have any kind of mental health condition which is helped by my swimming but I do find that with the work that I do and the long hours I need an outlet. Somewhere I can go just for me to work out all the stress of the day. Knowing the pool will always be there helps me immensely, checking the website to see when the next available session is and having a regular running bus service means I can go whenever I need to. Doesn't have to be in a morning before work if I can't manage it, I don't stress that I'll miss that day's session because I could just go after work itself or the next day. If there happens to be a lane free when I get there so much the better, I find I can swim better when there's no one in my way and I don't have to constantly be checking where I'm swimming! I honestly love swimming and have found the pool to become a sort of solace to me, a place I can go to when the world seems too tough. A sanctuary where it doesn't matter what I look like or how long I have to swim for today. So long as I'm there it is always better than not being there - 30 minutes or 50 - nothing matters and I can just get on with completing my set. I know I am going to feel better for it and my body will thank me for it later too. The watch counts the calories burnt during a session as well as automatically counting my lengths and efficiency - always good to know I've burned nearly 400 calories before breakfast! The Poolmate 2 - What the watch does and how it works. The Poolmate 2 offers a pedometer mode for open water swimming whilst still incorporating the pool swimming function. It works with all major strokes and uses lap counting technology with the addition of an open water mode which tracks the swim in any lake, river or sea. It counts laps and meters, has a 12/24 hour clock and alarm, counts calories/swim efficiency/distance/speed, large display to easily see information whilst swimming, simple calibration lap required to set up special water mode, ideal for pools over 18m long, logs 50 sessions for recall and is waterproof to 50 meters. The battery life is around 24 months, weighs 41 grams so feels really light on the wrist, the face has a diameter of 40mm, the strap fits wrists from 14.5 to 21.5cm, has a 12 month guarantee and an accuracy rate of over 99.75%. It is easy to use and allows you to compare performances from swim to swim - perfect if like me you're swimming the same distance from week to week. With the efficiency counter you can really see how well your swims are going, ideally you'd like to see this number less than 50% so it can be used as an incentive to have better quality swims and make the most of your time in the pool. Because of this function you can share the watch between family members if one or more of you loves to swim, it can be a fun challenge between you to see who can be the most efficient. It was certainly fun to see that for one moment at least I was more efficient in the pool than my Dad! Sadly this number has gone up for me but with time I am hoping to get it down. Although I am not putting too much pressure on it because that would take the fun out of it for me but perhaps for you it would be the kicker you need to up your exercise regime. I have to say that since I have had my Poolmate 2 watch, my swims have improved immensely simply because I do not need to count my lengths.I know that's the whole point of swimming but for me it goes deeper than that. It literally frees up my mind so that I don't have to concentrate on anything. I know that may sound counterintuative to not have to think whilst swimming but in my day to day life I feel like I have to think about so much, it's nice not to have to do so, I can just swim. I have found my happy place and I'm not likely to be giving it up anytime soon. Click the link to find out more about swimming watches for yourself. *Watch kindly gifted for this review, all opinions my own.